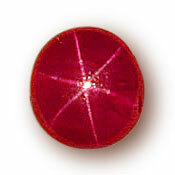 Burma is the home of the rubies and sapphires. 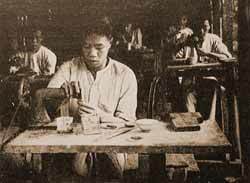 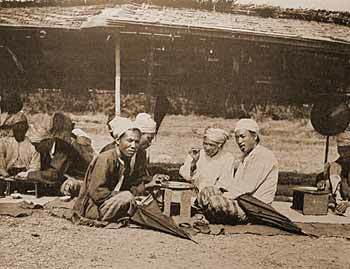 The mines of Ceylon, Siam and Indo-China produce stones equal in color but not, as a rule, equal in size to those of Burma. 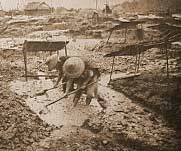 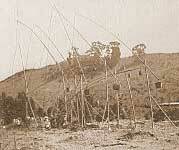 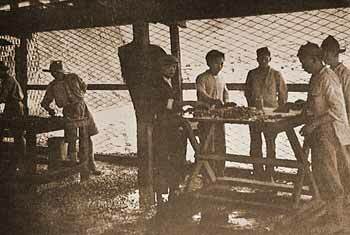 The Burmese gem mines are shallow pits worked with little or no machinery by all sorts of strange folk. 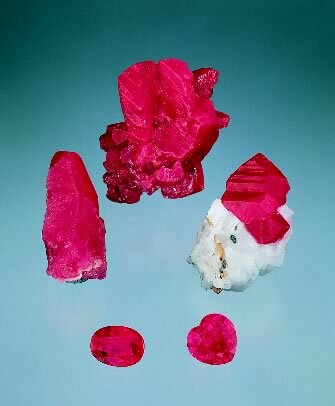 From gravel beneath the clay surface, clear red and blue crystals of corundum – named rubies and sapphires – eventually find their way to Paris or into rajas’ treasuries. 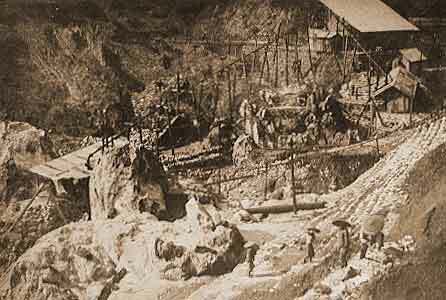 Anybody is free to wash the rubbish discarded by the licensed miners for small stones, suitable for watch jewels. 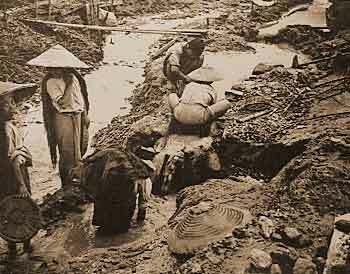 The upper left-hand picture shows a Chinese ruby mine, in which the earth is raised by bamboo lifts; each hole is one mine.